Very pleasant chatty friendly lady very efficient and a credit to your firm a very plesant experience to book with you again!! As ever excellent price and helpful staff. Always a pleasure to deal with. Second time booking through Ski Swift and can’t fault them, dealt with Claire on both occasions. Thank you again.. Friendly and efficient, and offered the cheapest rate for the same holidays offered anywhere else online. This is the forth year I have booked a ski holiday with Ski-Swift. Always very straightforward, efficient and good value. Highly recommend their services. Please have an HONEST pricing structure. The price quoted for a holiday of this type should be the price charged, like competitor companies do; not subject to add ons like luggage and transfers. I appreciate this method may well generate 'leads' which you hope to convert into sales (obviously successful in my case) but the whole experience leaves a bad taste in the mouth and in future I will probably use a rival company, who had the honesty to quote the amount I ended up paying after these 'extras'. Also the price charged was marginally (£4) higher than that quoted. Not enough to have made any difference regarding the booking but once again adding to a general feeling that the company is anything but straightforward. Clear accurate information professional and precise. Happy with the service Ski Swift provided, would recommend and buy from them again. Very friendly and helpful staff made the booking quick and simple to do. Email confirmation was pretty much instantaneous. The prices are as always, very good. told me all the information that I needed and a contact number and name of rep to speak to if any other issues arose. Lyndsey got me the perfect ski deal, so friendly too!! First class service from Claire, made our group booking very easy. Used Ski Swift a few times now and everything always a good experience. The ski offer I had enquired about was found and booking quickly made. Extra ski luggage was booked. Martine quickly sorted out a ski trip for us and when our skis couldn't go on the original flight rebooked with another flight and absorbed the higher cost of the replacement airline. Second time I've used Ski Swift and found it a lot cheaper and no fuss! Thanks guys will be booking again with you! The lady on the phone was really great and helpful. Vey good indeed - again!! Martine Kelly this year, Lyndsey Cain last year. All quick and easy only dropped a star as they took email address incorrectly and I had to chase back for my confirmation email. Otherwise good service will use again. Best price and very efficient. I would definitely use ski swift again. Took a day to receive email conformation of booking also didn't get price that was advertised. Been using Ski Swift for 3 or 4 years now, always very helpful and always get you a better deal. Pleasant and accurate details. Efficient service. Third year of use. Very easy to book my holiday. The price of the holiday was very good too. I would definitely use Ski Swift again. The headline prices are highly misleading. I knew they added airport transfers (£25) and baggage allowances (£60) but they also added additional £40, justifying this by saying, "Our online prices are only updated every 24 hours, so the price must have increased since you viewed it". But I checked the next day, online price was the same. Next day it went DOWN!! So they are basically adding arbitrary extras, then putting pressure on to book ASAP as there are only "A few places left" (allegedly, yet they were still advertising up to the day before the trip.) To add insult to injury, senior management refused to answer my complaint via email. NOT recommended. Won't ever use them again. Very helpful and was happy to accommodate my needs. The test will be my arrival only complaint was there were no photos of the destination booked. Excellent service, great price and speedy email confirmation. Would deffo recommend. Very efficient, friendly service with good value for money. It was great returning the call and getting the same person on the line. Excellent service , nothing was too much trouble for Lynsey who made finding our holiday stress free. I advise all my friends to use skiswift . Great customer service from Lindsey - quick responses, all the information we needed and made the booking process very straightforward. All without the hard sell you might experience elsewhere. 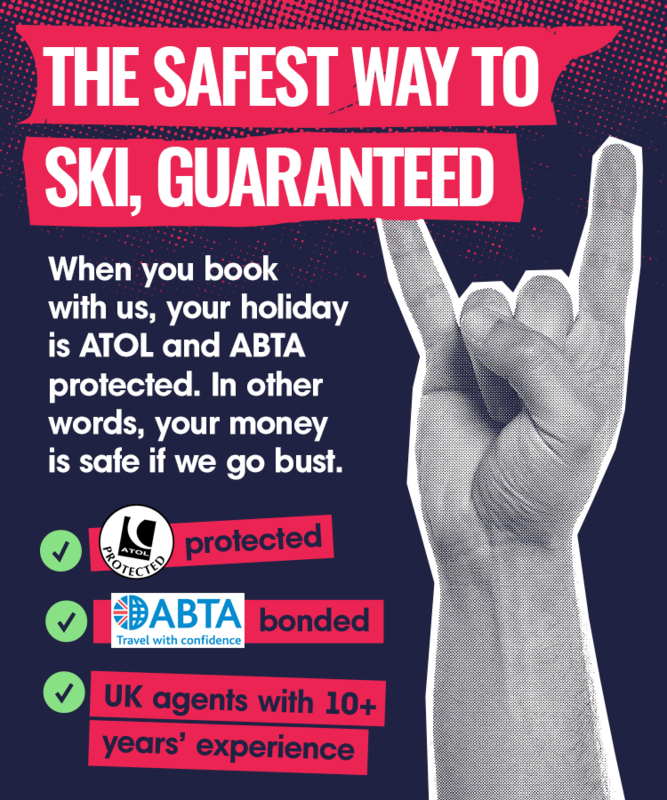 This is the second time I’ve booked a ski holiday with Ski Swift. Once again they have been very friendly and helpful and the holiday is great value. Clare Nelson was efficient and pleasant to deal with. Excellent friendly personal customer service from Martine. 2nd booking through skiswift. Always great service. They Make you feel like a mate. Price is great too. Very efficient and friendly service at a great price.